The quinta was founded in the 18th century. 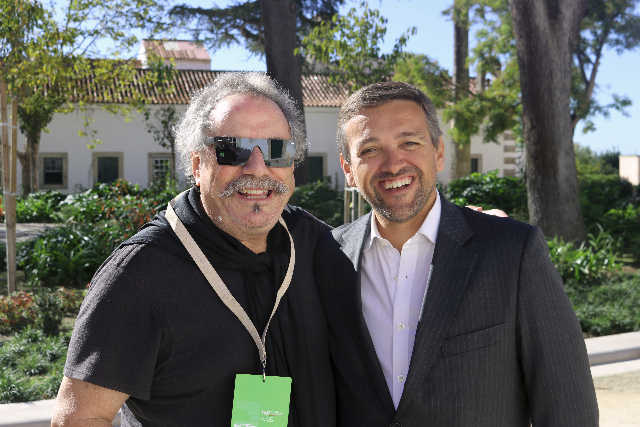 Phil with the manager of Quinta Alorna. 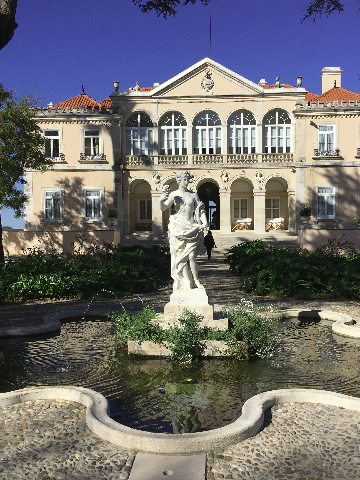 It was a real treat to visit an estate located close to the Tagus River, near the lovely town of Santarem, a couple of hours east of Lisbon (Portugal). 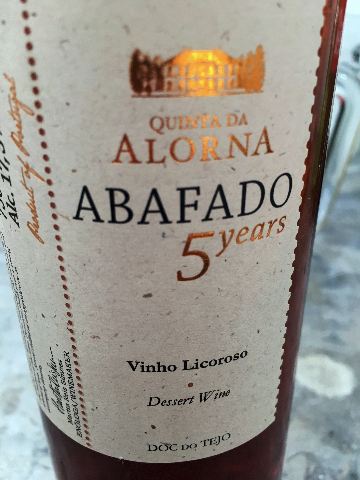 Initially, the estate was founded in 1723 by Dom Pedro Miguel de Almeida, who named the estate after conquering the Alorna Fort in Goa, India. 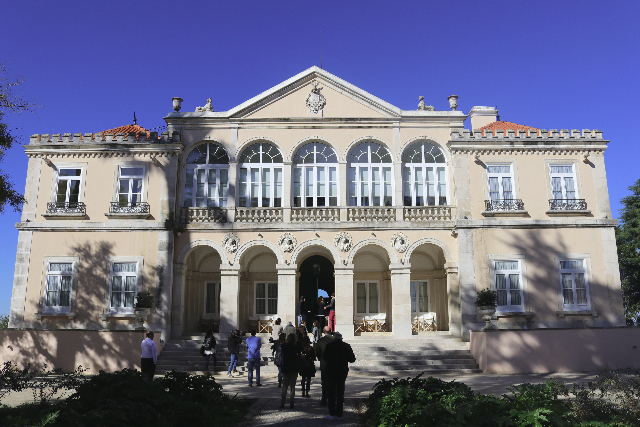 Quinta da Alorna is a unique piece of property. Not only a winery exists on its 7,000 acres (2,800 hectares), but, an iconic villa loaded with priceless art and antiques adorn the splendor of the whole estate, which also focuses on the environment, nature and sustainability. Five generations of the Lopo de Carvalho family have farmed the land and cultivated the 550 acres (200 hectares) of sandy-soil vineyards that focus on both Portuguese and International varietals, that include amongst others, Verdelho, Arinto, Chardonnay, Alicante Bouschet, Cabernet Sauvignon and Touriga Nacional. 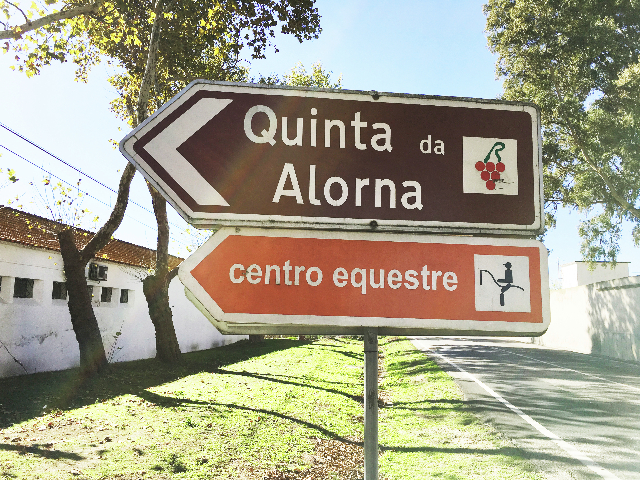 Sustainability, social responsibility and conservation of the natural environment are the mantra of Quinta da Alorna. 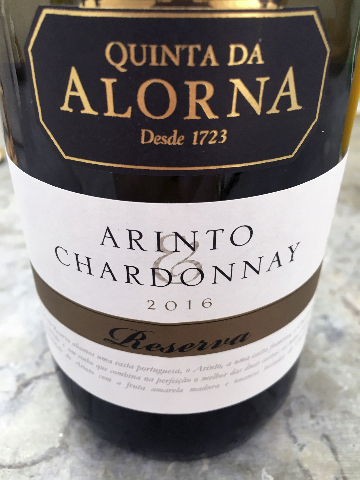 Growing onions, corn, peas and potatoes close to the vineyards represents the coexistence of natures’ importance at Quinta da Alorna. Conservation of fauna and flora represent 5,000 acres (1,900 hectares) of the estates commitment to the environment. 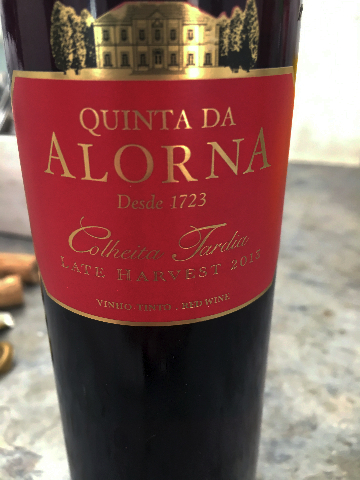 Originally, the property was focused on agriculture, but, as of late, the emergence of fruit-forward wines paired with new technology and reasonable market prices have made Quinta da Alorna a highly recommended wine producer that exports to some thirty worldwide markets. Sales, both domestically and abroad have risen year to year. After visiting this ‘one of a kind Quinta’, it was easy to understand why personal involvement of the staff coupled with passion, produce the best results. 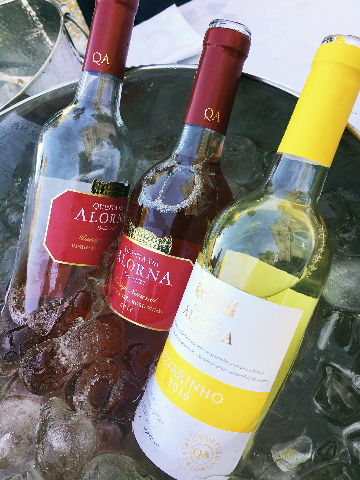 And following through on commitment, sampling wines from Quinta da Lorna on the TAP airline flights, where wines paired with traditional Portuguese cuisine from Michelin Star Chefs helps create a special attachment to the history and tradition of Portugal.